A last-ditch effort to approve an update to the Watershed Management Plan for Whatcom County on time fails but hope for local input is not lost. Other local entities involved appear to be allowing more time to reach agreement. 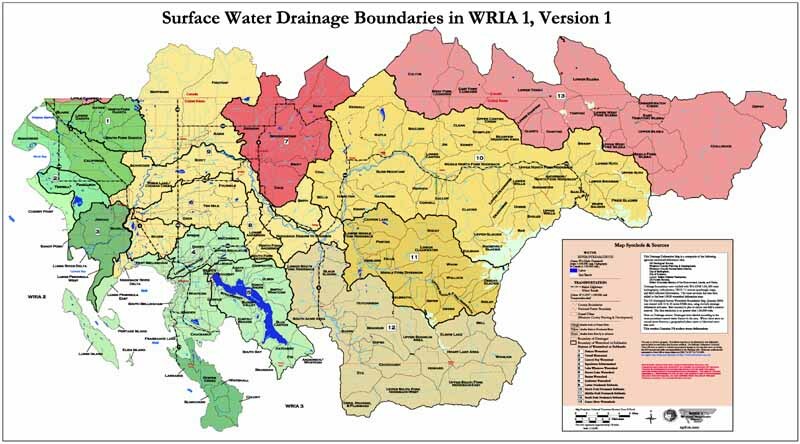 On Jan. 10, 2019, a simplified alternative update was presented to the Planning Unit for WRIA 1 – the Water Resource Inventory Area designated by state law that includes the Nooksack River basin and Lake Whatcom. The Planning Unit is working with the Watershed Management Board and Watershed Staff Team to write the update to meet the requirements of ESSB 6091 (now RCW 90.94). That law – the so called “Hirst Fix” law – allowed the County to remove a building moratorium it had placed on projects using permit-exempt domestic groundwater wells for their water source. The fate of an estimated 2,150 future well users hangs in the balance as the update process continues. The group couldn’t come to an agreement on a prior draft plan update. Policy issues such as mandatory metering was the sticking point. Now all groups involved understand that that plan will not be agreed upon by the deadline to submit to the Dept. of Ecology. There is still confusion over whether the deadline is Jan. 15 or Feb. 1. Any draft plan update must first go to the County Council for final local approval before it can be approved by the Dept. of Ecology. The Planning Unit’s Land Development Caucus wrote the simplified alternative plan under the interpretation that the law only requires them to address domestic/residential water usage and not outdoor watering. This would greatly reduce the predicted domestic/consumptive use amount that the law requires the group to offset. The proposed new simplified plan would allow them to skip the policy issues that kept the previous draft plan from gaining approval. The caucus also believes that the law imposed the February 1 deadline for local approval of the update, not Jan. 15, meaning that they still have time to get the update approved by the Planning Unit and County Council. At the Jan. 10 meeting, some of the other caucus leaders in the Planning Unit raised concerns about how they haven’t had time to thoroughly study the alternative plan, that it was a departure from protocol, and that it went against what they voted to do at their last meeting which was to package and index the work that has been done, send a letter to the Ecology and to legislators to inform them the plan update is not done but is being worked on. A vote to approve the simplified alternative plan failed with 6 caucuses in favor, 4 against, and 3 abstaining. However the Planning Unit agreed to hold an extra meeting Jan. 16th where the proposal can be considered and possibly fleshed out with ideas from the other proposed plan updates, to try to put them all together. The Planning Unit also agreed to postpone working on the letter that they were going to send to Ecology until their scheduled meeting on Jan. 23. The Watershed Management Board also met on Jan. 10th to discuss its next steps. They agreed to not take any action and wait to let the Planning Unit’s process play out before making their decision. On Jan. 8, the Whatcom County Council met to hear an update on the status of the “Hirst Fix” law update process in WRIA 1. They voted unanimously to give the Planning Unit more time, until Jan. 29th, to see if they can reach an agreement on some version of a plan update.